Caesarea is located on the Mediterranean coast approximately halfway between Tel Aviv and Haifa. Pontius Pilate ruled from this city during the time of Christ. Caesarea is mentioned in Acts 8 v 40 when Philip stopped here and ministered. Peter preached to Cornelius, a centurion in the Italian Regiment in Acts 10 v 1. 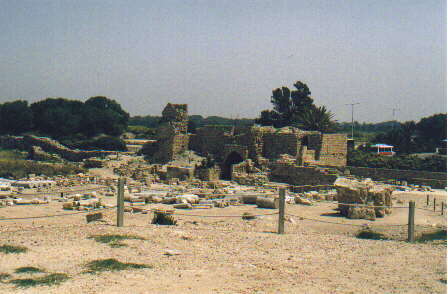 Paul the Apostle was taken to Caesarea to avoid the Crecians who wanted to kill him. See Acts 9 v 30. Later on Paul was imprisoned here as detailed in Acts 26.